Referred to as “America’s Race,” the fourth annual USA Pro Challenge takes place August 18-24, 2014. For seven consecutive days, the world’s top cyclists race through the majestic Colorado Rockies, reaching higher altitudes than they’ve ever had to endure. For many Timbers Resorts Owners, cycling is a popular sport - both as spectators and as participants - and our properties in Tuscany, Sonoma and Colorado are surrounded by some of the world's best routes for road biking. The adventure concierge at each Timbers destination can arrange for gear, guides and more. 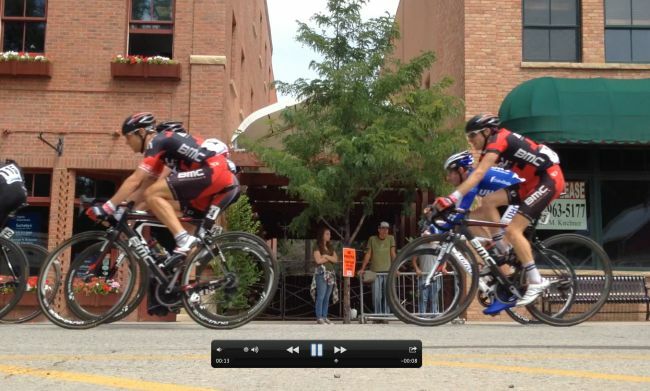 The 2014 Pro Challenge passes through Aspen (home to Dancing Bear Aspen), Snowmass (home to The Timbers Club), Carbondale (where Timbers Resorts' headquarters can be found), and Vail Village (home to The Sebastian - Vail). Previous years have also included Steamboat Springs (home to One Steamboat Place) and Bachelor Gulch (home to Timbers Bachelor Gulch). Featuring a challenging course, this year's race spotlights the best of the best in professional cycling and some of America’s most beautiful scenery at the largest spectator event in the history of the state. View our short video of the peloton passing through Carbondale today for Stage 2 as the riders were en route from Aspen to Crested Butte.